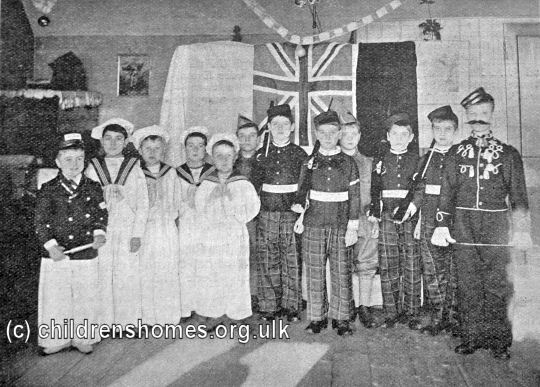 The St Michael's Home for Boys was founded in 1855 by Miss Marie Anderson and her sister. 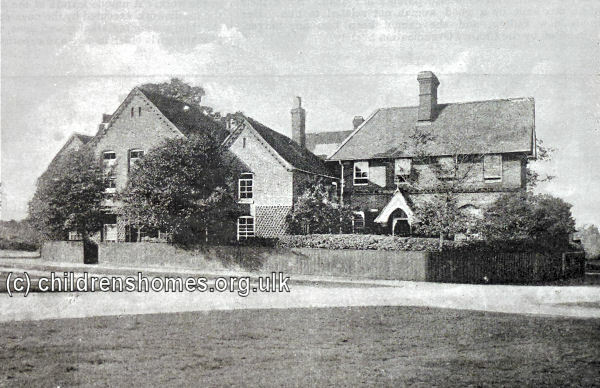 It began life in a small cottage but moved, in 1861, to a much larger property at the edge of Chislehurst Common. 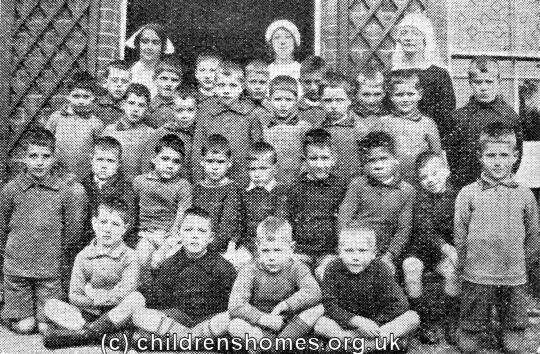 The home could then accommodate around 30 boys aged from 3 to 12, with Miss Anderson as the resident superintendent. 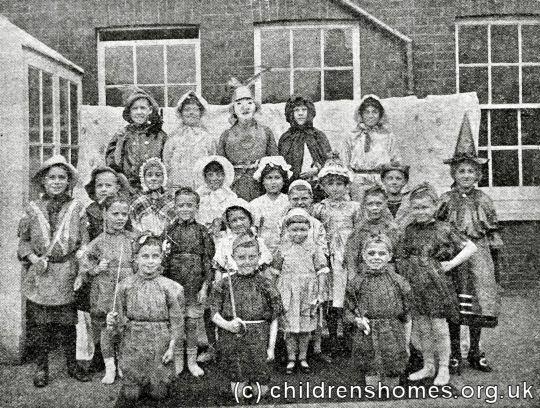 In 1895, the home was taken over by the Waifs and Strays Society. 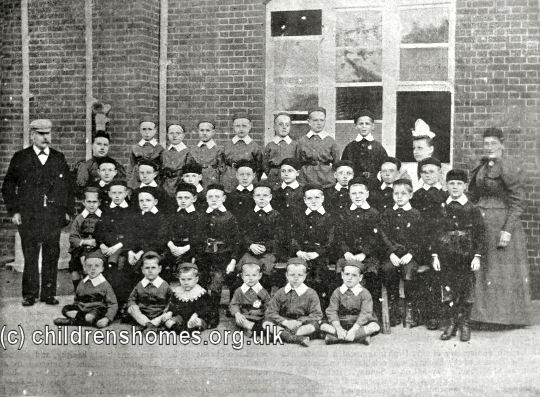 The boys attended the nearby school. They were also taught needlework and embroidery, and made items such as cotton mats and netted string bags. Their work was displayed, to much admiration, as part of the St Michael's Day celebrations held at the home on September 29th each year. 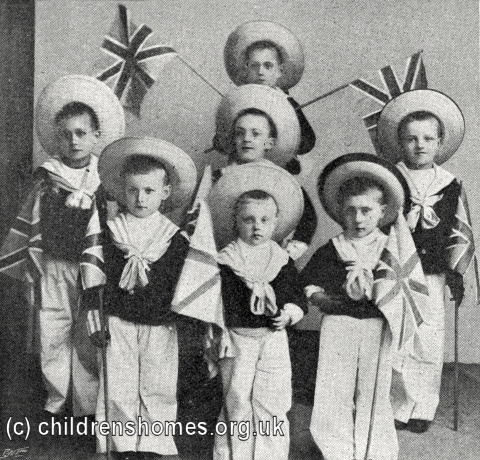 During the Second World War, the home was initially evacuated to a large house known as Guy's Cliffe, on Coventry Road, Warwick, but the boys were subsequently distributed amongst other Society homes. 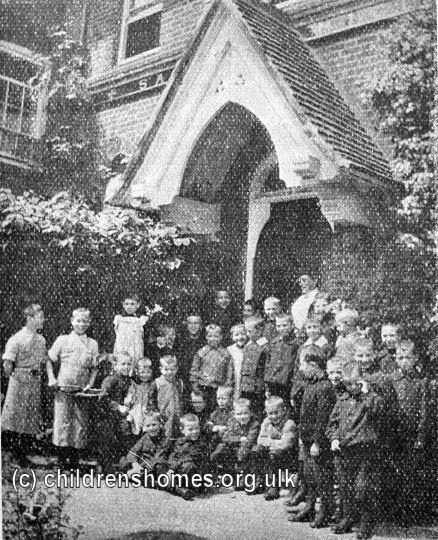 After the war, St Michael's was used as a home for young children until its final closure in around 1975.